We all know what a difference a perfectly groomed brow can make. With the help of a New York City brow expert, we designed a collection of six brow powder shades that will blend beautifully with your natural hair color. 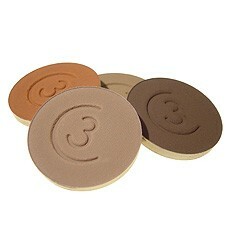 Imported from France, our Brow Powders are finely milled to impart a silky texture and smooth application. A great alternative to brow pencil! Only for use with the Refillable Trio.